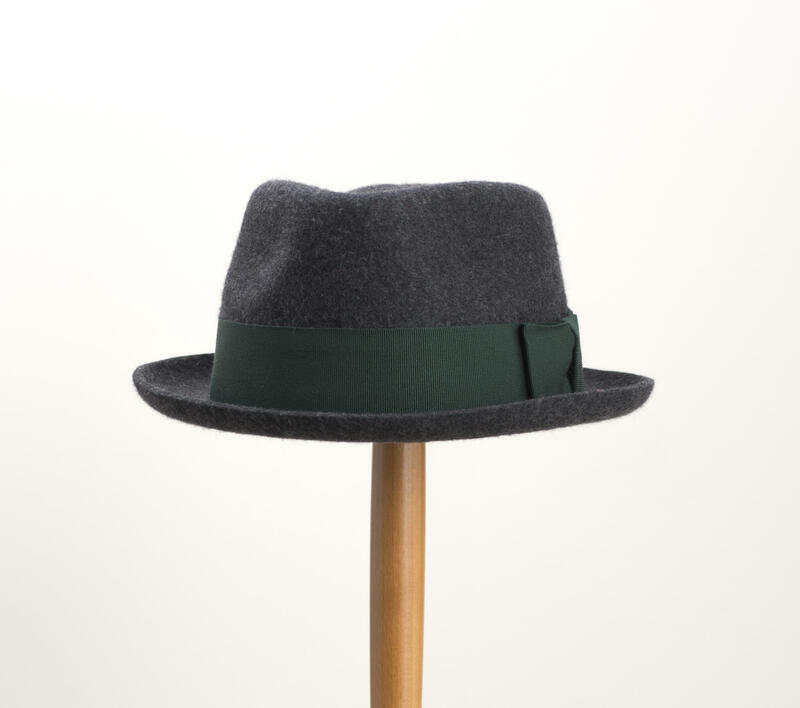 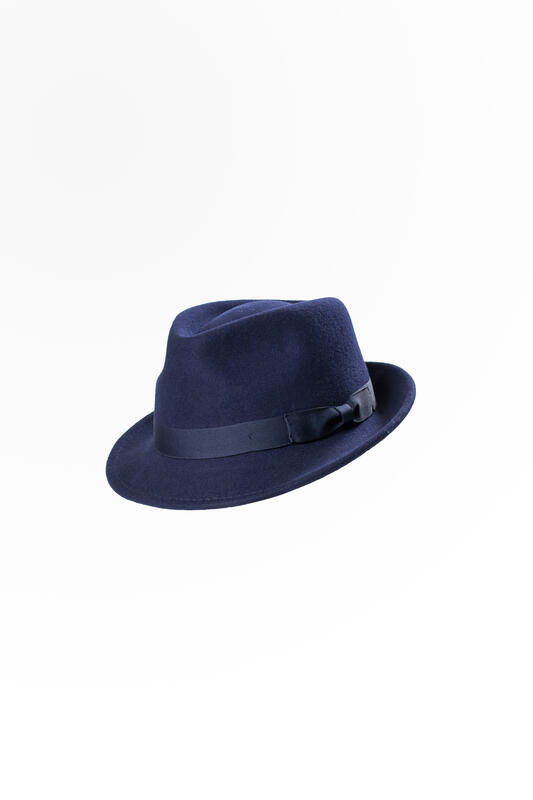 A dark navy blue 100% wool felt trilby handmade by Christys' of London in their Oxfordshire factory in the UK. It has a wider style crown than a classic trilby, and medium brim and features a contrasting brown petersham band and bow. 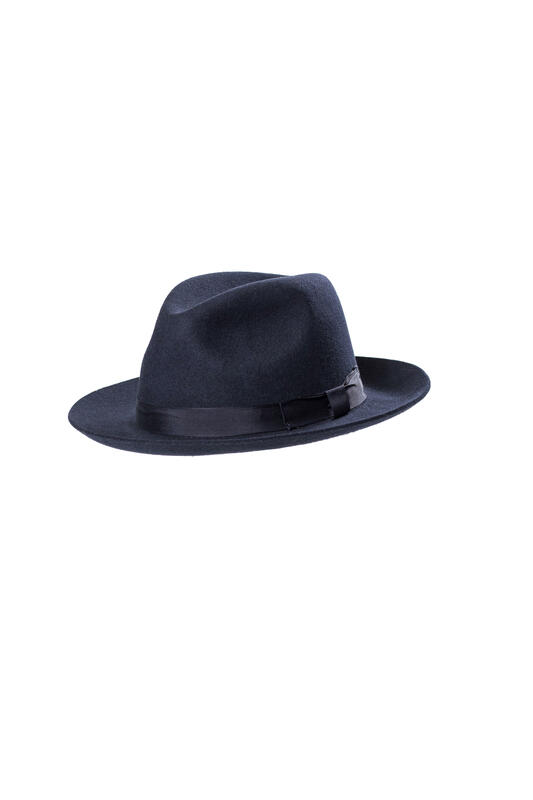 The hat is a great addition to any wardrobe with a modern casual look. 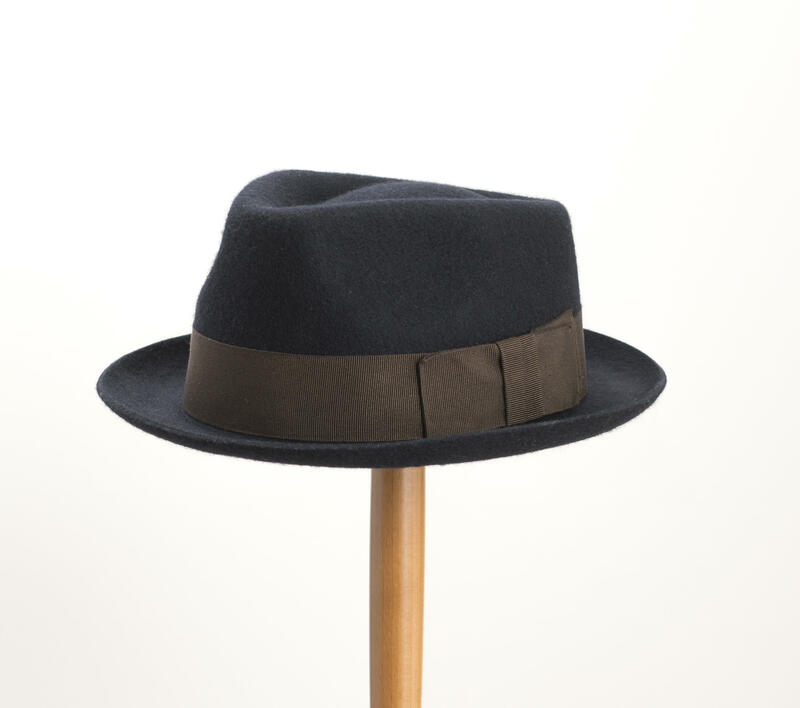 Fully lined with red satin, and with a leather sweatband.